It’s all too common these days that when we are asked how much we make we are quick to answer. However, when are asked how much we spend, that’s a whole different story! In order to save more and spend less you need to have a plan. In order to have a plan you need to know what you are working with. You need to know your bottomline–how much money is truly left over after all expenses are taken care of. It would make sense to think if you spend less, save more, track your expenses, and do a budget that it would solve all your problems. Now it helps most definitely, but IT DOESN’T STOP THERE. 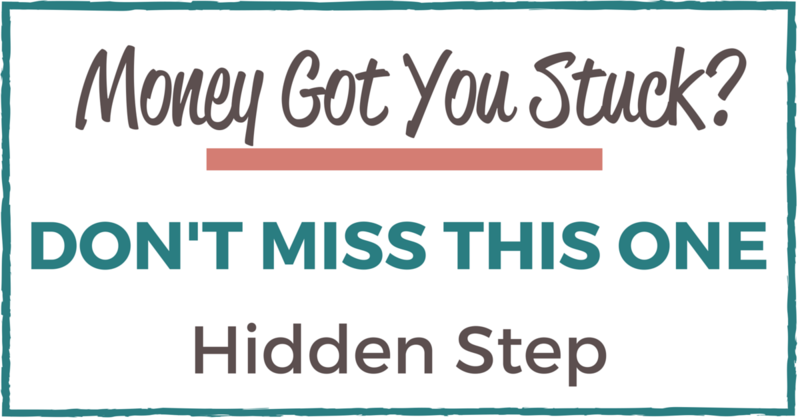 There are 3 common mistakes and one of them has the hidden step that is missed quite a bit. Can you pick which one it is? A money planning tool does not have to be a spreadsheet if you are deathly afraid of spreadsheets. Granted you may not enjoy this aspect of your money at the moment, so pick a tool that you are committed and willing to work with. Sitting and paying the bills is not enough. Automating the bills is not enough. You need to look at your account(s) to see if everything is on track! MISTAKE #3: Tracking your expenses and putting those numbers in your money planning tool without an action to follow it. Knowing what you are working with doesn’t just stop at tracking your expenses. You have to get super clear not only on where your money is going but how it affects the flow of your money month after month after month. You best believe MISTAKE #3 is the ONE hidden step that keeps you stuck! It’s not that people don’t track their expenses (ok a lot of people don’t), but when they do they don’t take action on the information they have. When you track your expenses it shows a pattern of your spending habits (sometimes spending habits we’d like to be in denial about) and of the money you spend. Fixed bills and expenses are the easy part to deal with. It’s those variable bills and expenses and on top of that those that come maybe every 6 months or once a year. After tracking you may find you are spending a lot on eating out but then what do you do with that? After finding that it is that one big annual bill that gets you stumped, what do you do with that? Just putting these numbers in your money planning tool not going to do you any good. It may look good on paper, but it’s not moving you forward. Bank: Ok I’m on it! Your money plan will be waiting indefinitely for a response from your bank, that is for sure. If you haven’t done so already get clear on your spending. Need some help? My Jumpstart Your Money Mini-Guide will work through number 1 + number 2 and help you get started on number 3! It’s a free tool, so I wouldn’t hesitate to grab it! 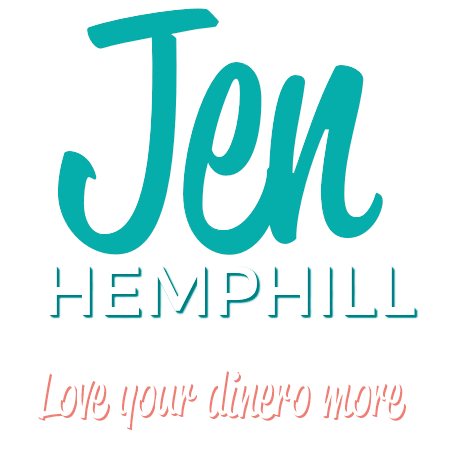 If for whatever reason you get stuck on number 3 (everyone’s situation is so different of course) my Fearless Money Sisterhood membership program is a good very affordable solution to get support and guidance. Sound challenging? It’s really not, you just need to take a step back, breathe and let the mini-guide help you. 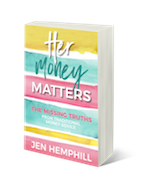 I’ve used what I teach in this mini-guide to gain clarity on my own personal finances and ultimately control! You CAN most definitely do this too.